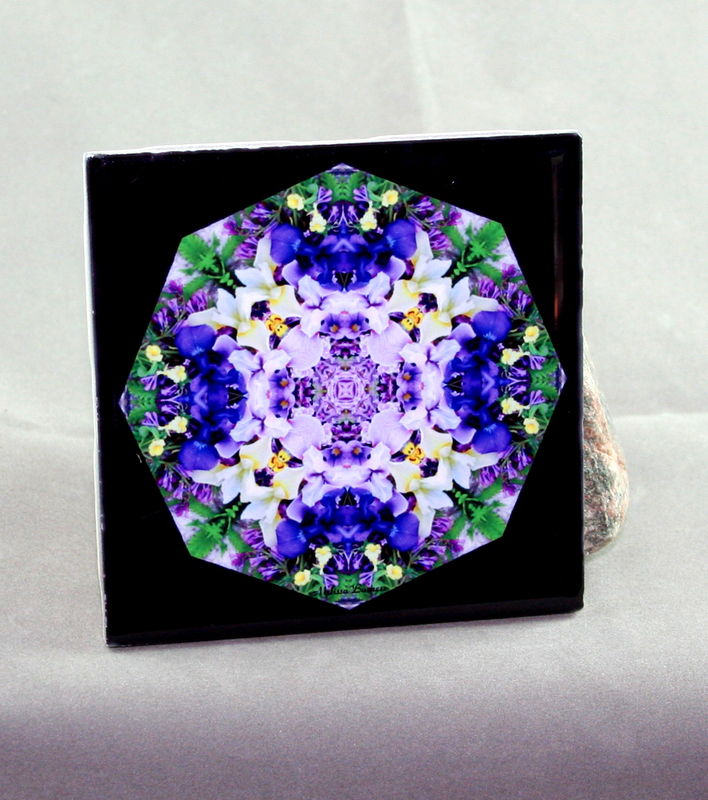 A mesmerizing Purple, lavender and yellow Iris flower geometric kaleidoscope design printed on a 4 ¼ in x 4 ¼ inch decorative ceramic tile with acrylic protective coating. The underside of the tile has four felt protective pads, one in each corner. Tile is approx. 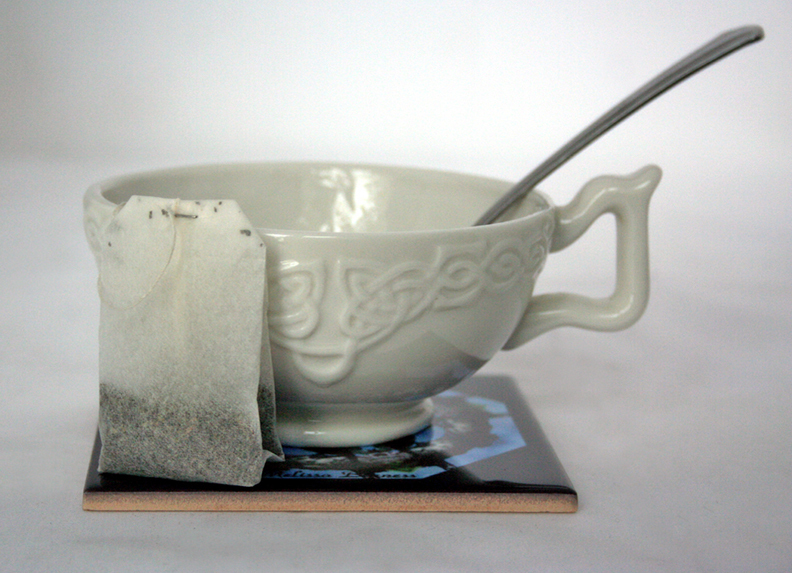 1/8" thick and weighs approximately 4 oz. 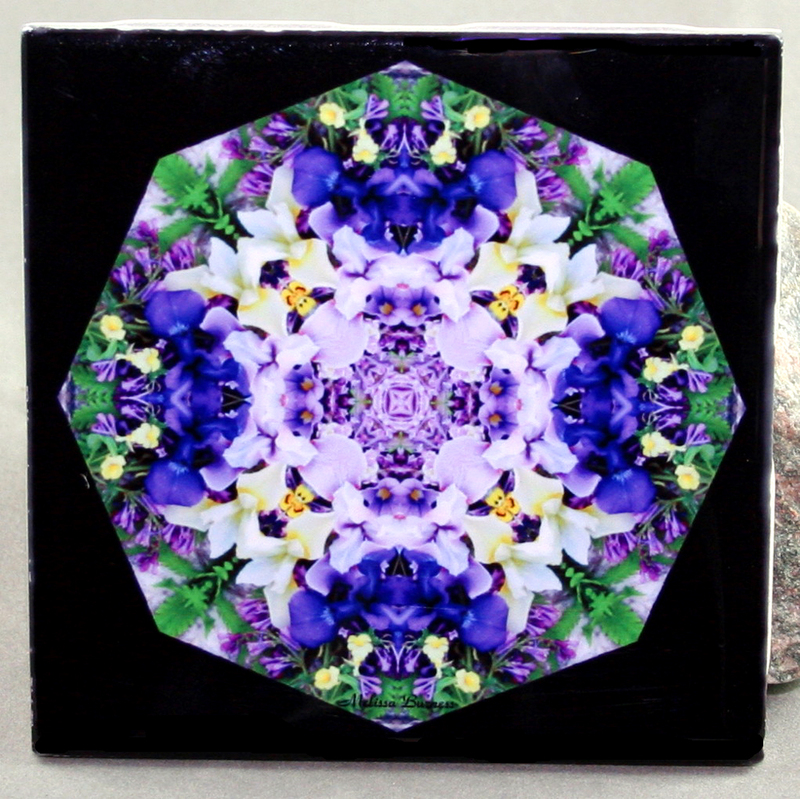 Use this functional tile as a coaster, trivet, spoon rest or place in an easel for home décor. The possibilities are ENDLESS! Order several as a backsplash or bathroom décor. You can special order any background color you wish! 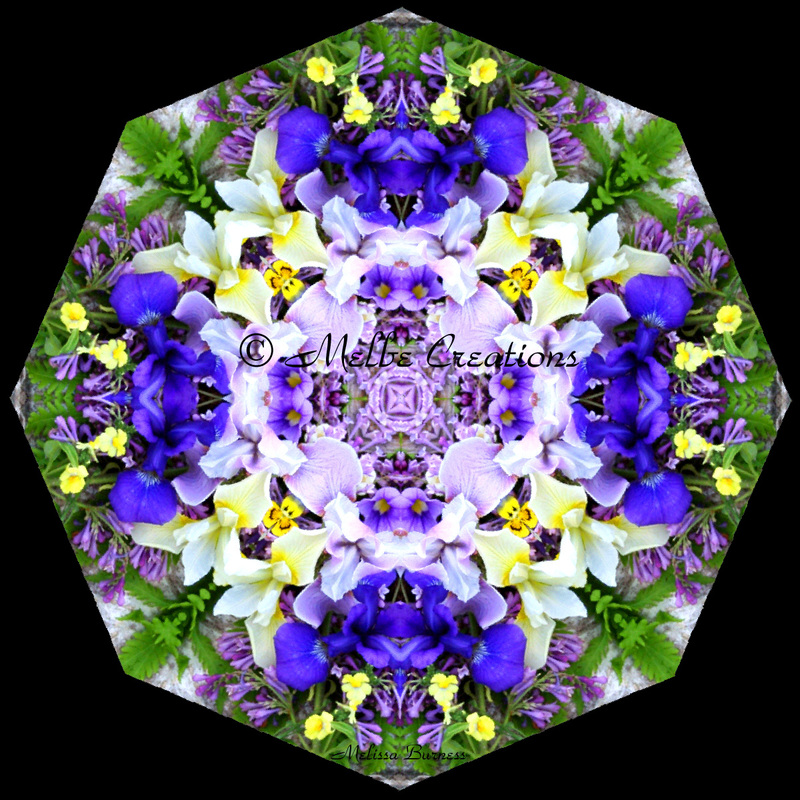 The purple iris represents faith, hope, wisdom, courage, and admiration. The yellow iris symbolizes passion. The Iris is named after the Greek Goddess Iris meaning, “rainbow”. 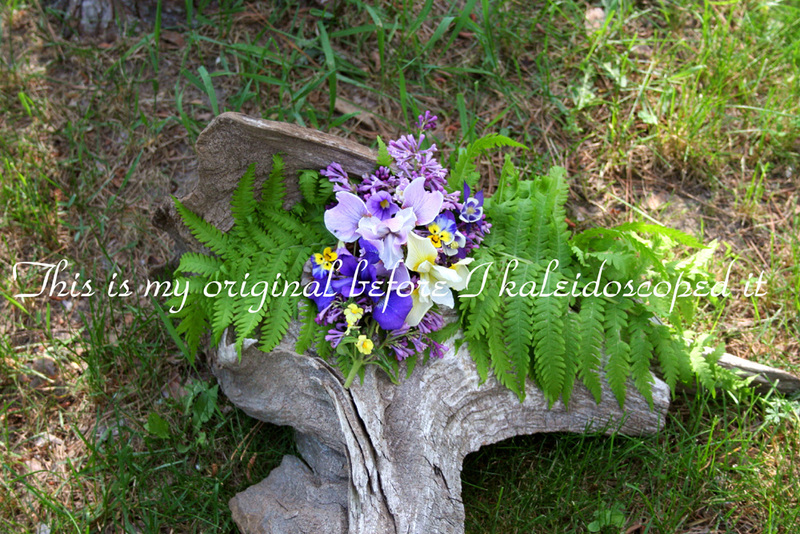 It is the official flower of 25th wedding anniversaries and is the birth flower for February.